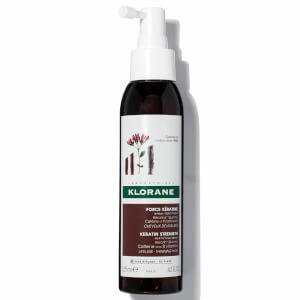 KLORANE's Shampoo with Citrus Pulp is a clarifying hair cleanser infused with vitamin-rich pulp to promote purified, healthy and lustrous locks. Expertly lifting away dirt, product build-up and impurities, the detoxifying shampoo performs a clarifying action; it cleanses and revitalises whilst delivering amino acids and carbohydrates to revive, balance and restore normal to oily hair. Providing antioxidant protection against external aggressors, it also neutralises the dulling effect of calcium in hard water. Tresses look soft and shiny with renewed vitality. Apply to wet hair. Work into a lather and then rinse. Water (Aqua). Sodium Laureth Sulfate. Sodium Cocoamphoacetate. 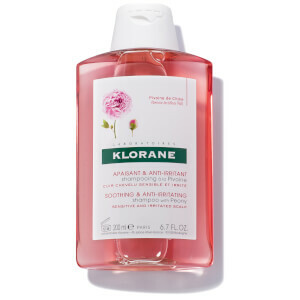 Glycolic Acid. Triethanolamine. Propylene Glycol. Decyl Glucoside. Denzoic Acid. Chlrophyllin-Copper Complex (Ci 78510). Citrus Medica Vulgaris Fruit Extract. Disodium Edta. Fragrance (Parfum). Glutamic Acid. Panthenol. Polyquaternium-10. Sodium Chloride. Sodium Hidroxide Yellow 5 (Ci 19140). 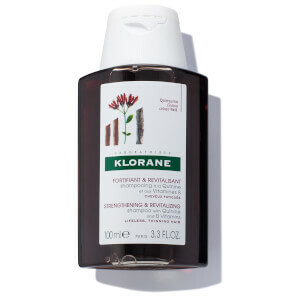 KLORANE Shampoo with Citrus Pulp - 3.38 fl. oz. 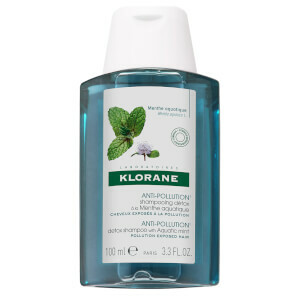 KLORANE Detox Shampoo with Aquatic Mint Travel Size 3.3 fl oz.